Monday, October 21, 10:00 a.m. - 12:30 p.m.
Spencer-Peirce-Little Farm, 5 Little’s Lane, Newbury, Mass. October is Massachusetts Archaeology Month! 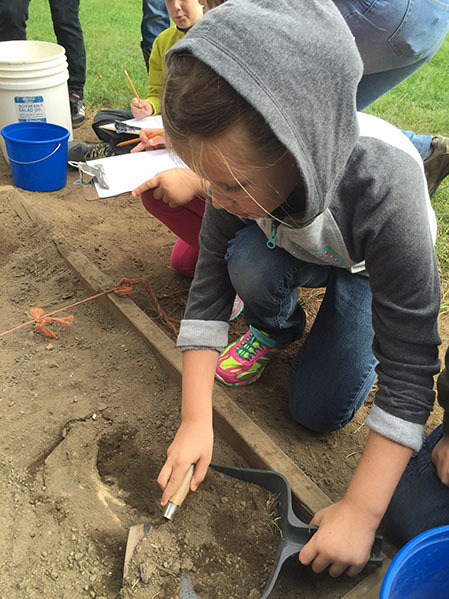 Participants become archaeologists as they excavate a mock pit with actual tools of the trade and process reproduction artifacts in a field lab. Inside the museum, they explore building archaeology via trap doors. They analyze objects to learn about daily life at the farm over the last 300 years.